I have had to accept the harsh reality that my all-time favourite flat criss-cross shoes have been worn out. My love of ‘crissy-crossy shoes’, as I called them, I think stems from my style icon mum who had ballet pumps in gold, black, navy, coral… that I used to try on every day. 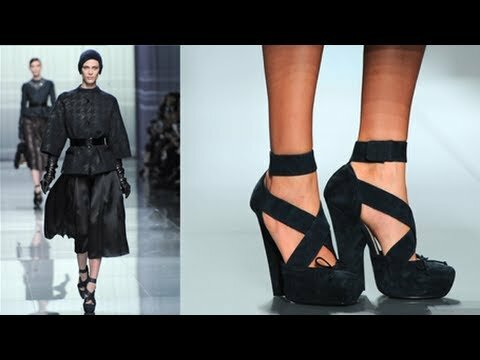 They seem to be rising in the Fashion Stakes due to featuring in the Dior and Louboutin Fall 2012 collection and, most recently, being worn by the stunning Kate Upton in January 2013 Vogue. 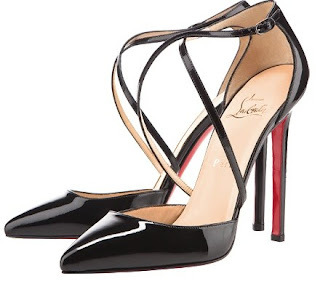 Anyway, I have searched high and low for the equivalent- which does NOT exist, without the odd stiletto heel/ painful metal hooks/ random purple flower on the front. So I decided to take matters into my own hands (literally) and put my arts & crafts skills to the test. When shopping in London I bought some plain black shiny ballet pumps from Forever21 and thought that with a bit of glue, some elastic, and a strong will, I could produce a custom-made pair. How hard could it be? I had already comforted myself with the fact that if unsuccessful they were only £5 so no great loss. BUT IT WORKED! ...and I thought those days watching Art Attack were merely for entertainment. 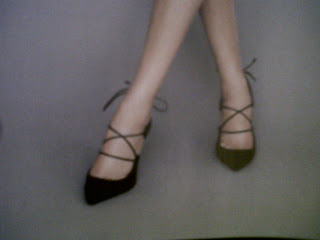 as well as 2 pairs of plain black court shoes- putting black elastic on them is optional!